To help make finding the owner of a found pigeon easier please use the following example. 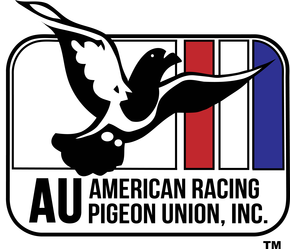 AU (our organization) and the year the bird was born and banded (2002). Also note, the "Club Code" is AVI and the number that follows is the bird's id number. To search for a band, enter just the "Club Code" in the search box below and scroll down to find the club lettering (Club Code). Contact information for that club secretary will be listed.